Last year my face was so spotty that using a lighter foundation was completely out of the question — I refused to leave the house unless my skin was as covered as it could be (without looking cakey, obvs). Today, though, things have improved enormously and I’ve finally found the confidence to start looking for and using something a bit more sheer. My plan is to use a lighter base and then use a full-coverage concealer where I need it. So, what have I found? 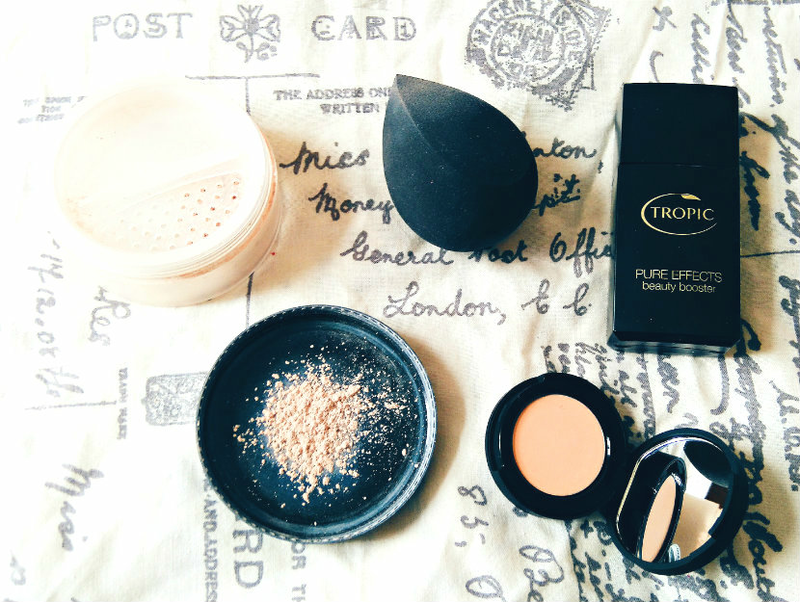 I was intrigued when Tropic offered to let me try out their Beauty Booster in Light* (v), which comes with the elegantly named Beauty Drop Sponge* for application. Unfortunately, as you can probably see from the photo, Light isn’t pale enough for me, so I haven’t been able to test it out as fully as I would have liked to. If Tropic made an Extra Light version I’d be interested because the texture of the Beauty Booster is like that of a daily moisturiser: a light, airy liquid. It blends out really nicely and has a hint of a scent but this isn’t unpleasant in the slightest. I may pass this on to Mumma Toasty to see what she thinks because her face gets quite tanned in the summer. On the other hand, I’ve been using the Beauty Drop Sponge on a daily basis, and I can’t believe I ever functioned without it. It has a rounded end, which I use for blending in foundation and buffing in concealer, and a flat side with a pointed end, which I use when applying make-up round the nose and under the eyes. 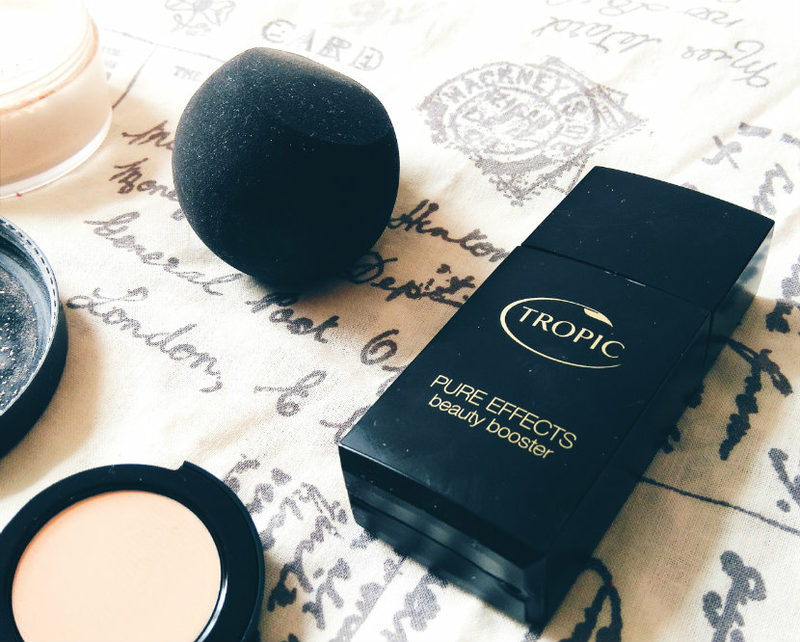 Buffing products in with this gives such a flawless finish and although I’m not at the stage where I want to throw away all my brushes, I’m certainly happy to use the Beauty Drop Sponge alongside them. 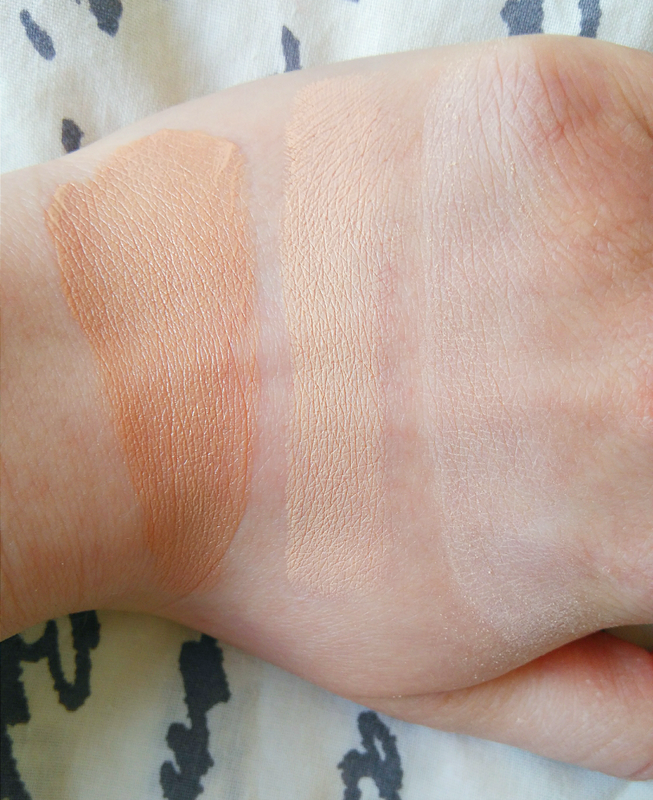 A thick (but not heavy) solid cream, this concealer does indeed offer full coverage. I like to use the Detailer Brush from the Real Techniques Core Collection to dot the concealer on any blemishes or red patches and then I use the Beauty Drop Sponge or my fingers to blend it out, before setting it all with powder. This is probably the best high street concealer I’ve tried when it comes to spot covering, no question — the coverage is heavy duty but looks natural. It does need a little bit of a top-up towards the end of the day but for once I’m totally willing. An old favourite, but how much I use it depends on the state of my skin. Until recently it didn’t really offer the kind of coverage I was looking for, and over winter I prefer to use liquid products because my skin is so dry. But at this time of year? Suddenly mineral products are appealing again, and for good reason. Mineral foundation is so easy to build up in light layers, and it tends to stay put really well too (I never used powder with products like this because it just feels like a bit too much, and excess oil tends to get soaked up by the foundation anyway). A sweep of this is enough to even out my skin tone and make it look like I’ve made an effort, even if I’m feeling lazy. What base do you like to wear in spring? Have you tried any of these? Let me know in the comments!